Disegnare e sviluppare una soluzione automatizzata di raccolta dati da sistemi operativi in un ambiente distribuito che permetta di automatizzare scenari di test e verificare il funzionamento di un prodotto nell’ambito del system manangement. Si avra’ la possibilita’ di acquisire skills di sviluppo in ambiente Eclipse, di System monitoring, di anali e risoluzione dei problemi in generale, conoscenze sui prodotti Tivoli dell’IBM. The delivery of a Satellite on-board service usually relies on the proper configuration of a set of hardware units, the On-Board Assembly (OBA), and on the capability of promptly and properly reacting to non-nominal conditions to isolate their effects and restore the on-board function. This stage is focused on a work which is being performed by TASI on this subject in the framework of the LEO PRIMA Platform Avionics Software (PRIMA ASW). • Characterisation of the PRIMA ASW architectural framework in which the applications execute their tasks. • Characterization of the generic On-Board Assembly (OBA). • Specification of the generic On-Board Assembly Manager (OBAM). 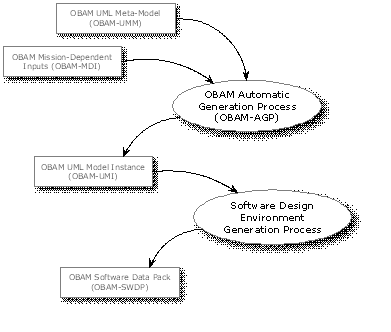 • Specification of the rules for the mission-specific OBAM automatic generation. Based on European Space Agency Standards (ECSS) , Ground systems and space segments protocols,at application level, have been reccomanded on PUS (Packet utilization standards). TASI already provides solutions to PUS Service building blocks, “the PUS Services Library” and is working on a tool to automatically generate the project-specific “PUS Services” flight software based on mission specific requirements. The goal of this STAGE is focused on Design/Develop a custom application which shall be used to generate the configuration needed to quickly compile an own custom Pus library. The goal of this TESI is focused on working in a one or contribution (dependend on kind of TESI) to analize and optimize the tools chain process which shall be used to develop On board SW for satellites of next generation. Objectives: We are looking for a highly motivated and talented Senior Interaction Designer to join the team of Interaction Designers, Visual Designers and Researchers. Designers and researchers work in collaborative teams with project leads, strategists, engineers and domain experts to generate innovative concepts and solutions for multiple screens: TV, PC, mobile and more. The Senior Interaction Designer will collaborate with researchers on generating insights, leading ideation sessions with interdisciplinary teams, and articula e product concepts, interaction philosophy and models, as well as use cases and benefits of ideas. The individual will need to work conceptually using models and story boards, as well as pragmatically through detailed interaction flows and specifications. • Communicate, document, and represent product concepts, user scenarios and designs to team members, senior management and key stakeholders. • Expertly craft documentation to represent the team’s vision around user experience, including: storyboards, schematics, style guides, movies, PPTs and prototypes. • Work with the rest of the Research, Visual and Interaction design team to articulate methods and best practices, and share them with the larger TID community. • Strong visual design sense, along with prototyping skills on interactive visualization technologies such as Adobe Suite, Flash, DHTML, CSS, AJAX, etc. • Experience working in a rapid application development environment using appropriate tools and techniques. Experience with agile development is a plus. Metodologia: La tesi, di carattere sperimentale, consisterà nella progettazione e istallazione di una rete Zigbee in ambiente industriale. La tesi verrà svolta presso la So.tel srl (sede zona Montesacro) utilizzando una rete Zigbee e un tool di commissioning sviluppati dall’azienda. Durante tutto il periodo della tesi il candidato collaborerà allo svolgimento del lavoro con un tutor dell’ azienda. Requisiti: il candidato dovrà avere competenze di base su sistemi wireless, uso di software di progettazione, misure elettriche e misure di campi elettromagnetici. Quantificare in un campione di acqua marina la molteplicità e la varietà di organismi del fitoplancton tramite tecniche di Machine Learning applicate a dati da citofluorimetria laser in flusso a scansione. allineate attraverso un sistema di rilevazione ottico/elettronico. Aspetto peculiare della citofluorimetria in flusso a scansione è quello di rivelare e memorizzare molti parametri per ogni singola particella analizzata, parametri che correlati tra loro permettono di individuare e studiare sottopopolazioni (anche rare) di organismi. rifrazione, ecc. ), effettueranno la classificazione e la quantificazione. Il prodotto finale consisterà in modelli computazionali in grado di estrarre ed estrapolare informazioni dell’ecosistema oggetto dell’indagine.